Home > App > NTUC Plus! : 20th Anniversary Special Deals – FREE Gong Cha Caramel Milk Tea, $2 HK Wanton Noodle, 4pc Chicken Tenders for $2 & More Offers! Till 4 Nov 2018 NTUC Plus! 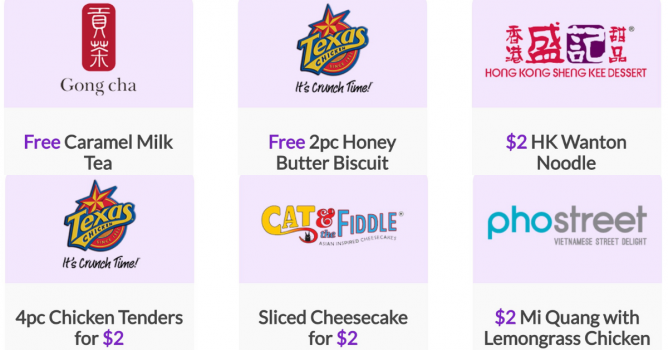 : 20th Anniversary Special Deals – FREE Gong Cha Caramel Milk Tea, $2 HK Wanton Noodle, 4pc Chicken Tenders for $2 & More Offers! It's a new week...but the celebrations don't stop! Download the Plus! App now to redeem these offers!